cleaning services in Jacksonville. Let us handle your cleaning duties in the kitchen, bathroom, bedrooms, and laundry room. No task is too small either - we'll take out the trash, take care of the laundry, clean the floors, and even wash the dishes! 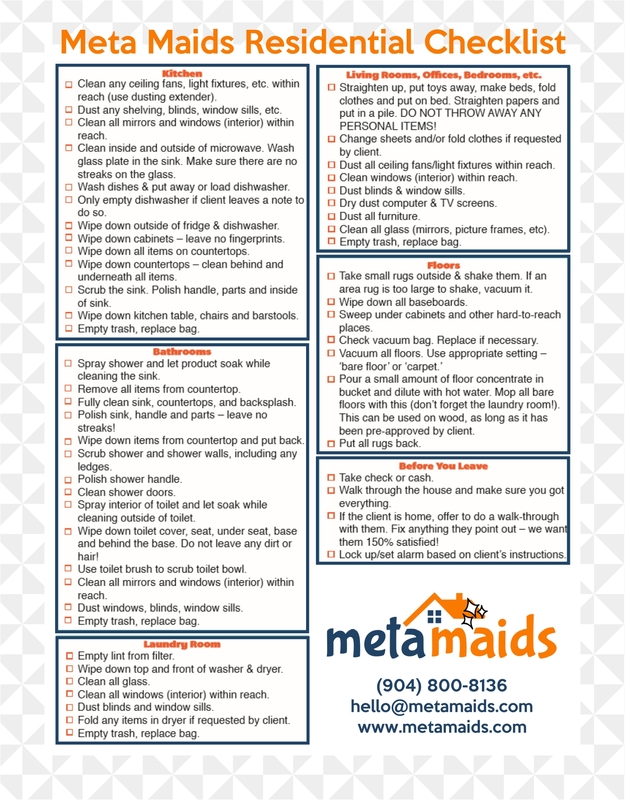 Custom tailored for you with our simple cleaning checklist. At just $49/hour you'll receive the same great customer service, the same detail oriented attention, and a 100% satisfaction guarantee. You can schedule a trial visit, or sign up for recurring monthly services!